MIPCOM in Cannes, is a global entertainment content market focused primarily on television (small screen content) production. MIPCOM brings together the international TV and digital content executives for five days of meetings, screenings and conferences that begin October 14. Visitors are enabled to discover and screen the latest breakout programming and find new partners at this global market for entertainment content across all platforms. As part of MIPCOM 2018’s conference theme “The Big Shift,” conference organizer Reed MIDEM will again place focus on topics of diversity and inclusion to reflect the global movement towards equality behind and in front of the camera. Hollywood actress, writer, director, and producer Issa Rae (pictured left), creator, producer, and star of HBO’s hit show “Insecure,” has been named MIPCOM 2018 Personality of the Year. She will be honored at a gala dinner for leading international television executives at the Carlton Hotel, Cannes, France, on Wednesday 17 October, and will take part in a keynote interview. At MIPCOM 2018, China (the second largest television market in the world) has been designated as this year’s MIPCOM Country of Honour. The MIPCOM Country of Honour program will include conference panel discussions on the Chinese market during MIPJunior and MIPCOM, multiple showcases of the latest Chinese programs, a Chinese-themed Opening Night Welcome Reception, a look into the top shows from China in the popular Fresh TV presentation and the sprawling China Pavilion. The official MIPCOM Opening Party – CHINA Night – on October 15, is co-hosted with The State Council Information Office, P.R.C., and the National Radio and Television Administration, P.R.C. World Premiere TV Screenings, Fresh TV, Fresh TV Fiction, Market Screenings. CBS Studios International will host the World Premiere Screening of the new SHOWTIME limited series, “Escape at Dannemora.” The premiere will take place in the Palais des Festivals on Monday 15 October, with Ben Stiller, Executive Producer and Director of the series in Cannes for the event. Produced by Atresmedia Studios for Movistar+/Telefonica (and presented by Beta Film), the new series from Alex Pina, creator of the hit Netflix heist drama “La Casa de Papel,” will have its World Premiere TV Screening at MIPCOM 2018 on October 16. An Asian World premiere TV screening, presented by Nippon TV, “Way Too Kawaii!” a new fashion-set millennial drama is featured as the Asian World Premiere TV Screening on October 16 with the star of the series, Yudai Chiba, and Arisa Mori, Nippon TV’s Producer. Additionally, MIPCOM will stage a pre-opening TV screening, ‘Trigger,’ presented by Beta Films, produced by Russia’s Sreda Production for Channel One Russia and distributed internationally by Beta Film. ‘Trigger’ is a 16-hour drama series and will be featured at this year’s Pre-Opening TV Screening on October 14, in the Grand Auditorium of the Palais des Festivals. After existing solely on the west coast in the Las Vegas Convention Center since 1991, the New York City version of the annual National Association of Broadcasters Show enters its fourth year since the NAB organization rebranded (renamed) its Content & Communications World (CCW) event featuring SATCON into the “NAB Show New York.” Before 1991 (NAB Show was inaugurated in 1923) the show had moved around to a number of cities. The NAB show is considered the largest show for media, entertainment and technology (at least in North America), and covers: broadcast TV, radio, production, post-production, news gathering, streaming, cable TV, satellite TV, film restoration, data storage, data management, weather forecasting, industrial TV, FX, CGI, connected media, cybersecurity and more. Actor, producer and director Robert De Niro will headline the Opening Keynote event at NAB 2018 Show New York, and take part in a Q&A with “Deadline Hollywood” Contributing Editor Dade Hayes to discuss the future of film and entertainment. Expect NAB to spotlight and survey the growing trends and technologies in broadcasting. The push toward ultra-high definition televisions, also known as 4K UHD, and the kinds of requirements they could be creating for new kinds of content they will need will be stressed in sessions like, “The State of UHD and HDR: Five Things Everyone Should Know” led by Thomas Bause Mason, the director of standards development at the Society of Motion Picture and Television Engineers (SMPTE). As of November 2017, the Federal Communications Commission approved ATSC 3.0 to be the next generation of broadcast standards. At NAB, speakers with experience in rolling out ATSC 3.0 in local markets will discuss their experiences at a session titled “Accelerating on the Road to ATSC 3.0.” At a time when the TV audiences are splintering across TV and digital channels with live media growing in popularity for sports in particular, planned sessions on the future of live entertainment, and sports in particular, investigate the multiple viewing options on multiple platforms, and areas of improvement that can be opportunities to engage these viewing audiences. Planned session “What’s Fueling America’s Podcast Ad Growth?” examine the growing appeal of podcasting despite its similarities to online radio and streaming. 67 first-time exhibitors will join (mostly) returning companies on the NAB Show New York show floor. New companies you can expect to find include ARRI, Bose, Google, Microsoft, and Primestream, among others. Of particular interest to media and entertainment industries, new to the show floor is the Advanced TV Solutions Theater, which will feature television vendors, networks and distributors involved with the development and implementation of ATSC 3.0/Next Gen TV, Telco 5G and Gigabit Cable WiFi. Additionally, the new Podcast Studio will showcase business-focused and popular New York-based podcasts as they record live. 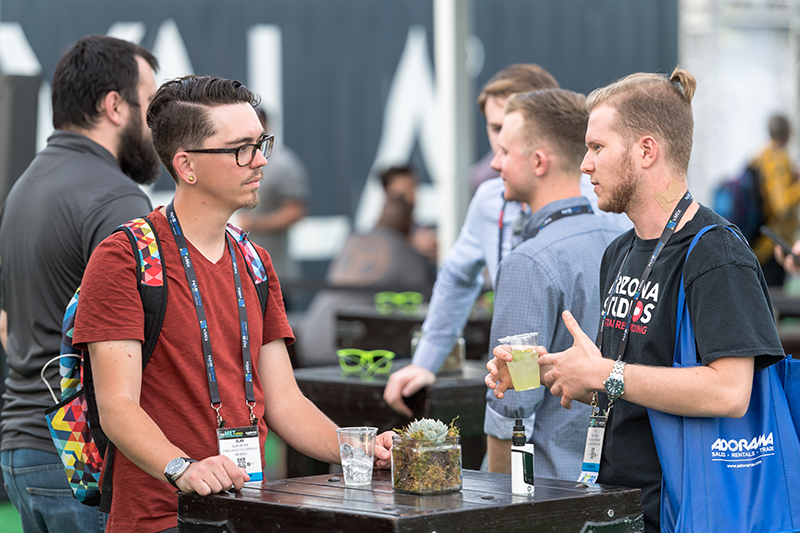 Networking and making new connections at all NAB shows (on either coast) is a paramount consideration and strategy in the convention programming and planning. Join Dan Rayburn and fellow attendees for the Streaming Summit Reception on October 17. The YoPro program, structured for young professionals, ages 21-35, provides access to high-level speakers, career-building sessions, the latest tech, and limitless networking. Community Mixers will be hosted by Travel Video Awards, #GalsNGelar, Podcast Movement, Pilot Pitch Prize, eSports industry tastemakers, Telly Awards. The Middle Bar will be available to Meet Up with friends, colleagues and new connections for drinks and snacks, and it will also be the designated site for Closing Happy Hours. In its third edition, Broadcast Indonesia with its expanded exhibition area will take in a gathering of industry professionals and experts from the broadcasting, production, and related sectors. Visitors come to network, connect and obtain the latest technological updates from the experts and be part of the country’s annual digital multimedia and entertainment event. Now entering its third year, in 2018 Broadcast Indonesia in Jakarta will focus particularly on the topic areas of, Content Security, Management and Systems, Post Production, Cine Technology, Content Distribution and Delivery. And for the third consecutive year, the Indonesia Digital Economy Summit resumes over the entire convention daily schedule, from October 24-26. This knowledge-exchange platform will bring together attendees in the region to establish a business value proposition for adopting digital innovation and practical technologies while forming partnerships at this Indonesian homegrown platform. Broadcast Indonesia key presentation topics from the communications, broadcast/media, and tech disruptors sessions include: Industry Focus 4.0: Market Readiness, Threats and Opportunities; Digital Evolution in the Media Age: Digital Asset Management for Content Optimisation; Digital Factory – data capturing system implemented io the LEAN flow design; Blockchain for industrial digitalisation; Big Data and Intelligence – digital innovation and shaping cognitive ecosystem; The Future of TV – what’s next? where are we heading? Next Generation Satellite Possibilities – the promise of HTS in building a digitized nation. Speakers slated to make presentations include: Adam Riley, Sales Director – South Asia & ANZ, Akamai Technologies, Inc.; Aaron Tan Dani, Chairman, An Association for All IT Architects (IASA); Edwin Sugianto, Chief Operating Officer, Asuransi Axa Indonesia, PT; Vishal Tulsian, Managing Director, Bank Amar Indonesia; Sudhir Syal, CEO and Co-founder, BookMyShow Indonesia; Hartman Harris Christian, Co-Founder, Evos Esports; Tom C. Varghese, Manager, Access and Connectivity Policy, Facebook; Ongki Kurniawan, Executive Director, Grab Indonesia; Dr. Guntur S. Siboro, Country Head, HOOQ Indonesia; Prashant Choudhary, Head of Sales, Sea Inmobi; Josia Sembiring, Chief Engineer, NEC Indonesia PT; Danny Lim, CFO and Co-Founder, PUNDI X; Aswin Tanu Utomo, Vice President of Engineering, Tokopedia; Youssef Ouyhya, Vice President of Data Analytics, Tokopedia. The Medientage München GmbH aims to create platforms to visualize the handily used cliche, “convergence of media and technology.” One way it goes about this during the convention span is through the presentation of workshops and speakers. MasterClass sessions include, Innovative Audio Marketing, Blockchain for Beginners Informative conference panels include, “The Shifting Media Landscape,” The Importance of Being Human: Building a Global Fanbase in a Disrupted World,” “Entertainment From Around the Globe – International TV Formats and Trends,” “Automating Video Creation with AI,” “Disruption of Synchro – Listen to the Actor in Multiple Languages,” “Generation Z and its Media Use – What Shapes High-Tech Youth?” “Digital Listening with DAB+ and IP,” “Diversity in Media Companies.”There are many more topics that will be discussed. And returning from last year’s convention, Rockets & Unicorns is the Media Lab Bayern’s innovation area with an Innovation Stage ideally suited for media startups and on display to the entire convention audience. Teams from the fields of Advertising, Content, Marketing, Media Tech, VR, AR and 360° have the opportunity to apply for a booth in the Rockets & Unicorns Area of the Media Lab Bayern by applying on the website. A centerpiece event of the Medientage München program is Immersive Media Day, which happens the entire program day of October 25. Programmed sessions for Immersive Media Day will place a strong emphasis on VR, AR, MR, and 360-degree technologies. In the Immersive Media Area at the MEDIENTAGE-Expo, leading technology providers present their latest devices. Media professionals invite you to immerse yourself in their experiences and test AR applications. Visitors can try out immersive technologies and media and meet contact persons from the companies. In addition to the area, there will be another stage programme in 2018 – on Thursday everything will be about VR, AR, MR and 360-degree video. “Night of the Media,” a celebratory evening with decision-makers from broadcast, digital media, publishers, producers, advertisers, and creative professionals, that will again be held in the “Haus der Kunst” – an international exhibition house in the heart of Munich. The most anticipated social event happening within the MEDIENTAGE program on the second day of the Congress is the “Night of the Media” celebration gathering, drawing in decision-makers from broadcast and digital business, with publishers, producers, advertisers and creative professionals. XD Immersive is a San Francisco conference that focuses on immersive experience design, and the transformation of human experience by technologies such as virtual reality, augmented reality, artificial intelligence, and voice. Conference organizer UX Strategy is intent on finding the clearest way forward, designing the right product at the right time for the right people. UX STRAT produces conferences and workshops for experienced UX / CX / Product / Service Design professionals. The two-day program will field companies in VR/AR/AI/Voice giving workshops and presentations on techniques that can help anyone preparing for the transition that is already starting to impact businesses worldwide. Designers, product managers, IT innovators, and business strategists who attend XD Immersive will hear industry practitioners talk about the latest developments in this emerging field, but with a certain focus on user experience design and business use cases. There will be workshops on October 25 and presentations on October 26. 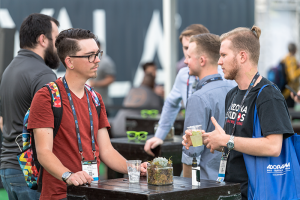 Although you can expect to find exhibitors, XD Immersive seems to be more instruction oriented with the half-day workshops on day one and shorter talks on day two, it will offer. On October 25: Designing Natural Language Voice Capabilities with Amazon’s Lex Platform, with Sindhu Narasimhan, Amazon AI; Virtual Reality User Experience Design, with Jessica Outlaw, Extended Mind; Designing for Privacy in the Age of Smart, with Dr. Faith McCreary, Intel, and Dr. Alexandra Zafiroglu, Intel; Augmented Reality User Experience Design, Jessica Outlaw, Extended Mind. On October 26: UX Strat; Reinventing the Way That Humans Interact with Technology, with Kharis O’Connell, Meta; Crafting Conversation: Design in the Age of AI, with Dan Padgett, Google; Designing Ikea’s AR Shopping Experience, Charles Yust, Frog Design; IBM’s AR Solution for Enterprises, with Alfredo Rutz, IBM; Tools and Methods for Designing Immersive Touch Interfaces, with David Birnbaum, Immersion; Bringing Characters to Life in Virtual Reality, with Katie Hughes, Beast; Immersive Experience Design: Developing A New Language for a New Medium, Andrew Letch, NYFA; The Road to Instant Gratification: Realtor.com’s AR Solution, with Laurie Kahn, Realtor.com; Making the Transition to VR / AR Experience Design, with Andrew McHugh, Samsung. The above events are only a sample of what is fully listed. Complete details are on the “Calendar of Global Media and Showbiz Industry Social Networking Events” page. If you like this report and other content found on The Actor’s Checklist, like the Facebook page at this link. 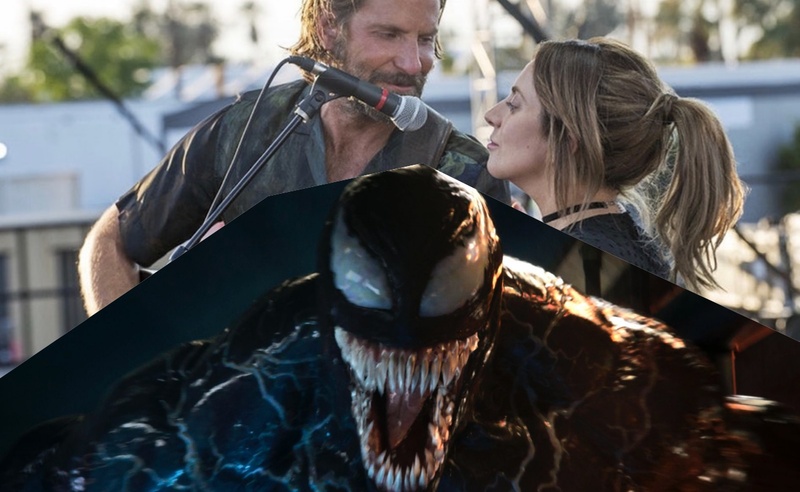 In this month’s photo placement (starting at the very top), Tom Hardy and Michelle Williams of ‘Venom’ go up against Bradley Cooper and Lady Gaga of ‘A Star is Born’ in a hotly contested competition for October opening weekend box office honors that even saw trolling social media posts against ‘Venom’ by the Lady Gaga fanbase. 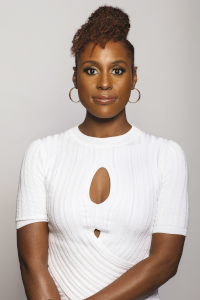 Next, actress and producer Issa Rae has been named MIPCOM 2018 Personality of the Year, YoPro mentoring program at NAB New York, Medientage München GmbH. Now into the fall season of the year, the events calendar is full, although the November Thanksgiving holiday intrudes in North America later in the month, here are some calendar dates for you to know about. Denver Arts Week is a varied offering running a little over a week, Innovation Forum Taiwan 2018 comes to Taipei, The New York City Horror-Fi Expo opens in Manhattan, American Film Market returns to Santa Monica, annual American Film Institute Fest presents screenings and award ceremonies in Hollywood and various points in Los Angeles, TV Connect Africa will come to Cape Town, Marvel Universe Live Manchester opens in Manchester, International Istanbul Film TV Forum and Exhibition (IFTV) opens in Istanbul.